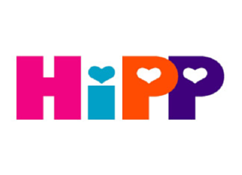 HiPP Milk Lotion was developed under the maxim to minimize any allergy risks to the lowest. Therefor it doesn't contain mineral oil, no parabens, no essential oils (because some of them are suspected to cause allergies), no allergy suspicious scents & no PEG emulsifiers. Its exceptional skin-friendliness is dermatologically tested & approved. HiPP Milk Lotion contains natural organic almond oil and moisturises intensively. Works great for the mild care of adult skin as well. Aqua, Caprylic/Capric Triglyceride, Cetearyl Isononanoate, Glycerin, Butyrospermum Parkii Butter, Glyceryl Stearate Citrate, Helianthus Annuus Hybrid Oil, Cetearyl Alcohol, Prunus Amygdalus Dulcis Oil, Phenoxyethanol, Sodium Carboxymethyl Betaglucan, Tocopheryl Acetate, Panthenol, Caprylyl Glycol, Perfume, Sodium Carbomer, Xanthan Gum. SHIPPING "HiPP Baby Gentle Milk Lotion"
VIDEO "HiPP Baby Gentle Milk Lotion"
"HiPP Baby Gentle Milk Lotion"